The 2012 Summer Olympic Games arrive with an unexpected windfall for pop, rock and electronic music fans. As in previous years, several artists have been recruited to record official Olympic songs before the games kick off July 27 in London. But this year, many of the performers are top pop and dance acts from the U.K., the host country, and will unveil their tributes over the upcoming weeks. First up are chart-topping alt-rockers Muse, who just released their epic Olympic ballad, “Survival,” last week. Check out Muse on MyMusicCloud. Next up are Elton John and Australian electronic-dance duo Pnau, who John tapped to remix many of his hits (including “Benny and the Jets,” “Madman Across the Water” and “Philadelphia Freedom”) into a fresh, dance-friendly album called Good Morning to the Night (listen to a taste here). The album drops Tuesday, July 17, in the U.S., but fans can get a sneak peek at their Olympic collaboration on Monday, July 16. More Olympics songs will follow by alternative dance band Delphic (Monday, July 23), electronic gurus the Chemical Brothers (Monday, July 30) and rapper Dizzee Rascal (August 6). At the Games themselves, the Scissor Sisters and Rizzle Kicks will also play surprise gigs for spectators. From the glittering opening ceremonies to the gymnastics and soccer games, the Olympics have a way of uniting people around the world – a lot like MyMusicCloud. Our global cloud-based music delivery service makes users’ music available, hassle free, anywhere worldwide. Browse our site in your choice of 22 local languages using our easy drop-down Language menu on the top right corner of our homepage at http://www.mymusiccloud.com. You can also switch between languages by selecting the Account link on the upper left column of our dashboard after you’ve logged in. (It’s under the Settings tab.) Once you’ve selected your language, your cloud-based music service can be fluent in German, Dutch, Bulgarian, Greek, Czech, Danish, Estonian, Finnish, French, Hungarian, Italian, Latvian, Russian, Lithuanian, Norwegian, Polish, Portuguese, Romanian, Slovak, Slovenian, Spanish, Swedish, and of course, English. 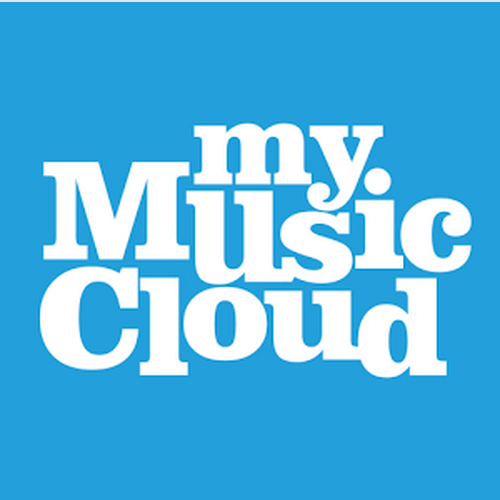 Best of all, with MyMusicCloud, you never have to wait to hear your favorite artist. Our service puts your favorite songs at your fingertips and syncs across any device: mobile phones, Macs, PCs, tablets and more. Plus, you can share what you’re listening to with your friends worldwide on Facebook. How many countries are we in? All of them! Our global cloud-based music delivery service reaches Austria, Belgium, Czech Republic, Denmark, France, Germany, Greece, Italy, Portugal, Spain, and The Netherlands, just to name a few. With MyMusicCloud, you’re never limited to the language of the homeland you’re in. Hang out in Mexico, while choosing your music in Dutch. Enjoy your layover in Rio de Janeiro, while shopping in German. Mix it up as much as you like! The more languages you know, the more you’ll love our service. So root for your home country this summer and, if you’re headed to London for the Games, enjoy your music en route with us!